Bluebonnet trails lead in all directions from Mustard Seed Bed and Breakfast on the Llano in the heart of Texas Hill Country! Burnet, officially recognized by the Texas legislature as the “Bluebonnet Capital of Texas”, is only 25 miles to the east. 2019 predictions are for average to above average blooms, and a great improvement over 2018. Peak blooms should occur from the last of March through the first two weeks of April. Jason Weingart, who ranks the 10 best locations for viewing Bluebonnets each year, predicts: “The Hill Country looks to bounce back in a big way this year” (Weingart, February 1, 2019). He notes that Highway 29 toward Burnet can have good displays, but going west towards Mason is typically better. Driving south from Llano leads past wildflower fields near the Oxford Ranch Campground to the famous Willow City Loop and popular Wildseed Farms at Fredericksburg. Weingart also suggests following Highway 16 north out of Llano to “great roadside displays around Babyhead Cemetery”, or alomg Highway 17 toward Pontonoc, where visitors may see “excellent fields and roadsides”. The following route combines highlights from several different bluebonnet trails near Llano. Departing from the B&B, follow Route 71 to FM 2147, then take FM 2147 past Horseshoe Bay to Marble Falls. The Bluebonnet House (on private property) has had abundant blooms some years, though not in 2018. As an alternative, Weingart suggests following Ranch Road 1431 east about 20 miles to the Turkey Bend Recreation Area on Lake Travis, where “the field is tended to nicely and should have a much better showing in 2019”. Returning to Marble Falls, continue on RR 1431 past Granite Shoals toward Kingsland, then follow FM2432 to Inks Lake State Park and Park Road 4. There, the topography includes dramatic views of the great granite outcroppings together with the wildflowers. Inks Lake State Park offers nature and hiking trails, plus a wide variety of amenities including a fishing pier, store, etc. Both Turkey Bend and Inks Lake have picnic areas and restrooms. Park Road 4 ends at Highway 29, which leads over Buchanan Dam back to Llano. There, your guest room’s unique décor, patio, and kitchenette await you. Outdoors, enjoy the B&B’s hot tub and fire pit areas as you relax after the day’s adventures. 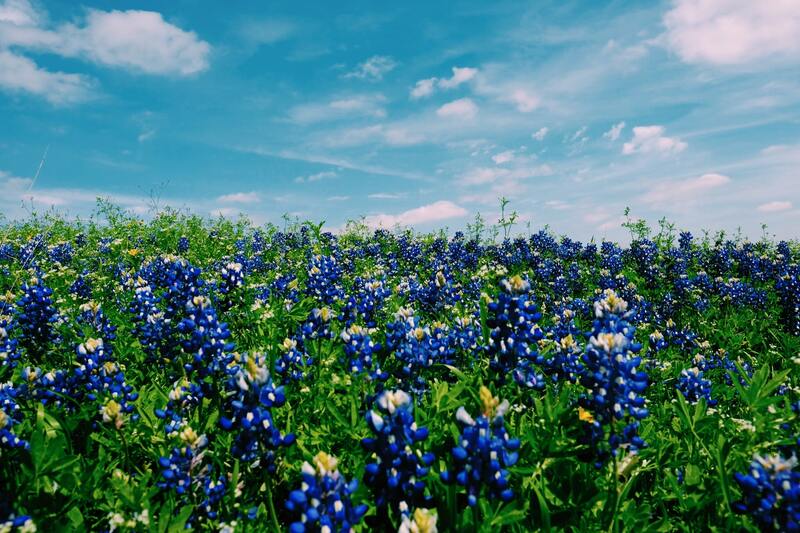 Bluebonnet time is very popular around Llano, so don’t wait to plan your spring vacation in the Texas Hill Country. The three guest rooms in our vintage farmhouse offer excellent privacy as well as all the modern amenities and comforts guests expect in a bed and breakfast today. We still have accommodations for dates in late March and in April, so don’t wait to go online and check availability, choose your favorite room, and make your reservation! 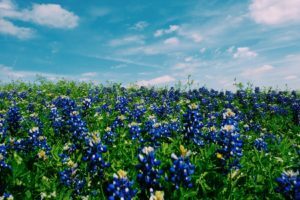 This entry was posted in Attractions, General, Uncategorized and tagged Bluebonnet season, Bluebonnets 2019, Bluebonnets near Llano, Inks Lake State Park, Llano B&B by admin. Bookmark the permalink.